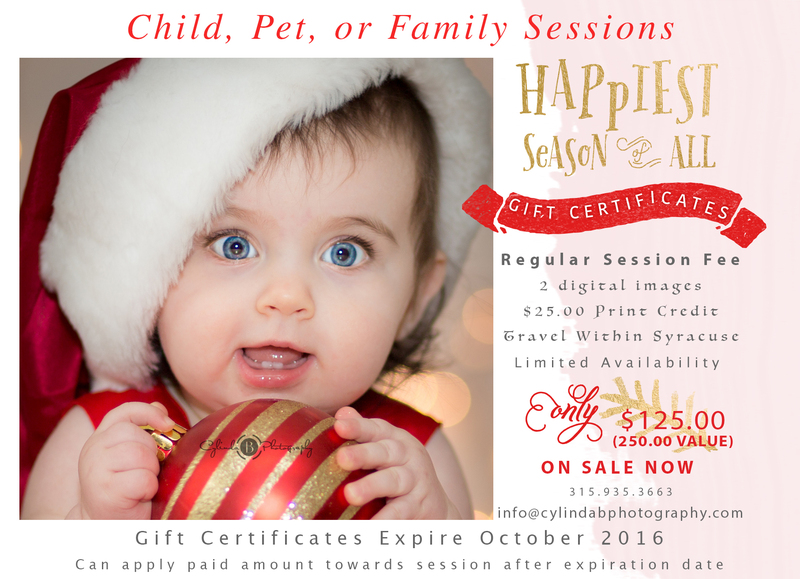 Holiday Gift Certificate Special & Signature Sessions! I woke up yesterday morning, rolled over to look out our bedroom window and excitedly woke up my husband and said “LOOK IT SNOWED!!”. Although at times I could do without the frigid cold weather, I absolutely love snow and this holiday season! I immediately de-falled 🙂 the house and began prepping for Christmas decorations. I will wait until Friday to start, but I cannot help getting super excited about it. 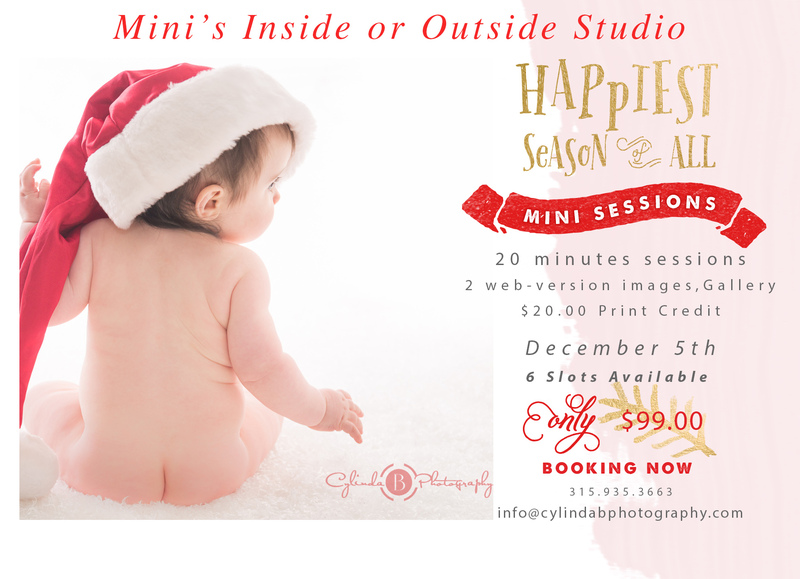 I figured there is no better time to offer an awesome gift idea, a gift certificate to Cylinda B Photography!! 🙂 Worth over $250.00 for the regular session fee investment. And for yourself or your child, pet, or small family I will be holding signature sessions at my studio on December 5th! There are only 6 slots available and it will be first come first serve! Thank you so much for visiting and have a Happy Thanksgiving! Would love to purchase one of those!